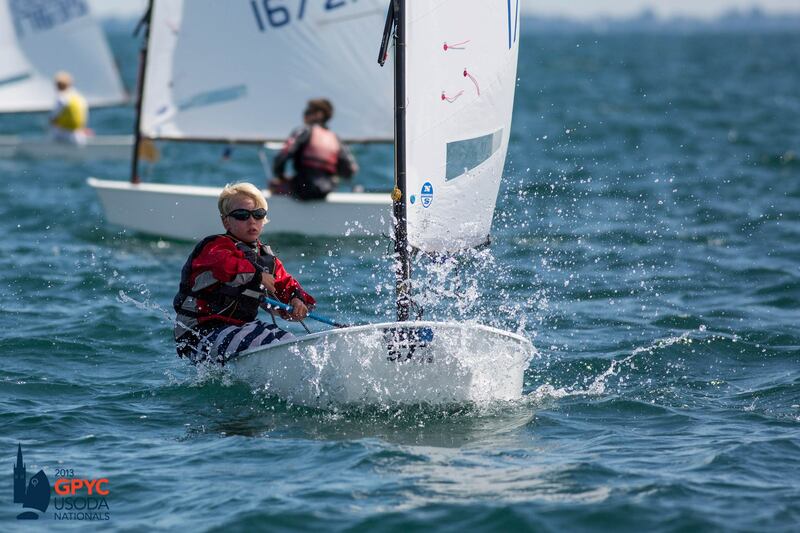 Congratulations to Chapman Petersen, 11, who is one of 15 sailors selected as Team USA to compete at the XXVI International Vila de Palamos Optimist Trophy 10th Nations Cup Regatta, February 12-15, in Palamos, Catalonia, Spain. This is Chapman’s first international regatta. The event is organized by the Club de Vela Palamos, Club Nautic Costa Brava, Real Federacion Espanola de Vela, and Federacio Catalana de Vela. Last year it attracted 377 Opti sailors. As of mid-January 2015 the registration had passed the 480 mark and included boats from 18 countries. The regatta venue is at Palamos Beach near the Club de Vela Palamos on the Costa Brava. The US Optimist Dinghy Association announced the names of the Team USA sailors after they had qualified at the Opti Midwinter Championship at Southern Yacht Club in New Orleans. The team will be accompanied by two coaches. Chapman Petersen had an outstanding 2014 season on Geneva Lake. He won the Opti Series A Championship for the Robert J. Porter Memorial Trophy, the Opti Series B Championship, the Aunty Jo Perpetual Trophy, and the Mike and Mark Childers Trophy as crew for Harry Melges IV, winner of the Class X Series A Championship. At the Geneva Lake Sailing School, the director and coaches named Chapman Optimist Skipper of the Year and awarded him the Michael H. Sherin Trophy for the second year in a row.